As we approach the 20-year anniversary of Virtual DJ Studio, I thought it was about time to give a brief history of Virtual DJ Studio (VDJ), how and why I created it, and how it has evolved over the years. In 1997, a group of us, in our early 20's, ran a Pirate FM Radio Station. When I joined up with this group, they were using an inexpensive Ramsay FM Transmitter kit, pumping out a whopping 0.1 Watts! We barely reached the end of the block, even with a 70' antenna on top of our "studio". Being the electronics geek that I am, we pooled together some money, bought a 1-Watt Veronica transmitter kit from the UK, and added a 24-Watt RF Amplifier module. Suddenly we covered our whole county, and specifically our small town pretty nicely at 87.9 FM. With this new-found power came actual regular listeners. We gave out a phone number and were extremely surprised after a few weeks of just how much of our small town listened to us every weekend. We decided one day to go 24-hours, 7-days a week. In the beginning, our "auto-pilot" was a 100-disc Pioneer CD Changer on Shuffle mode. This of course had a 8-10 second delay between songs, and of course the unfortunate occasional scratched CD would cause one of us to race across town to give it a "kick"! Then a friend turned us on to a new thing, a new file format that compressed CD music to about 1/10th its size. This thing was called an "MP3 File". We ripped our entire CD collection over a period of a few weeks, taking turns at the computer. Each CD took real-time (analog - we didn't have a drive capable of Direct Audio Extraction at the time), and required that we manually name each file. So we started using the obligatory WinAmp as our Auto-Pilot. This was GREAT, as long as it didn't run into a file it couldn't understand (a corrupted MP3 for example). It would sit there, waiting for someone to click OK before it would continue down the playlist. At first we just called my little Playlist Player Virtual DJ. Note that this incarnation was never released to the public, it was only used internally as our own little project. However, as we still did a lot of Live shows, including call-in shows, I wanted my new VDJ program to do more for the DJ. I wanted to be able to sit at the computer, as though it were your studio. Having constantly dealt with lack of channels on our old Pioneer DJ mixer, I wanted the ability to have more virtual players, each with its own virtual channel. Thus was born the Mixer-Board layout you see today, and the name Virtual DJ Studio. It is NOT a virtual DJ, it is a virtual studio for the DJ to use. So now we could have a playlist for Auto-Pilot, as well as the ability to CUE up several songs, set individual levels and EQ settings, and run a show with all music coming from the computer. As time went on, and we upgraded to (gasp!) Windows 98 and a Pentium 133, we eventually cleared up our very crowded desk, putting the turn-tables, cassette decks, and eventually even the CD players, in the back room for storage. Interest started building among our friends who actually DJd parties, weddings, and such. The idea that you could leave your CDs at home, and bring a computer tower instead, was revolutionary. Remember this was 20 years ago. Noticing that interest was building, I first started a GeoCities web page... I remember my dialup connection was very unreliable, and I had put the program installer onto a 3.5" floppy diskette, brought it over to my friend Dave's house, and uploaded it from there! Eventually I registered vdj.net and released an improved version of Virtual DJ Studio around February of 1998. So it has been 20 years since the first incarnation, but February 2018 will mark 20 years of the actual release on my own domain name. I still remember how exciting it was making that very first sale! In the early 2000's (just a couple years later) I myself started DJing, at first helping friends out, then subbing in on occasion, and eventually buying my own equipment and starting my own side business. Then around 2004, some of the bars I would work wanted to do Karaoke. I had no idea how that would even work in software, so at first we just used a CD+G player hooked to one of the bar's TVs. But that got me thinking: I already use multiple monitors on my desktop at home, why can't that second monitor be a TV? And why can't I learn to decode CD+G and add Karaoke as a new feature? 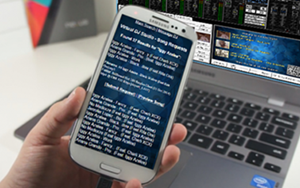 Right away the Karaoke feature was a big hit, and is now the main focus for many of my customers. However VDJ has its roots deep in typical radio-station style DJing. I never got into turntable-scratch type of DJing myself, which is why VDJ has no such feature (yet). It's intent is more for your typical wedding DJ or Karaoke host who wants just a little bit more from their DJ software. 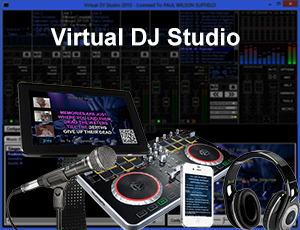 To date, I have customers all over the globe using Virtual DJ Studio. Many are adopting the new Request App and really bringing this to the 21st century. Lots of other DJ programs have come and gone, many have come and stayed, but they mostly look alike. I have no plans to change the "Studio" look and feel of Virtual DJ Studio, as it is unique, functional, and very distintive. There's a LOT more to come in the future of Virtual DJ Studio. After 20 years, I still have that spark that makes me want to continue improving my product, my pet project, to do more. Video Playback, webcam support (live video feed behind the Karaoke lyrics), and so much more is planned for VDJ's future. 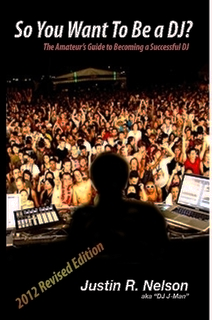 Use Virtual DJ Studio with confidence that it will be supported and improved upon for another 20 years to come! Just ask any of the loyal users of Virtual DJ Studio. There's the Official Facebook Page, and the Unofficial User's Group on Facebook started by one of my loyal customers. Then there's my own Discussion Forums where you can ask questions to the community or myself directly.